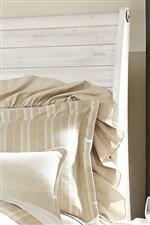 The clean lines and plank-style headboard and footboard give this bed casual appeal that everyone will enjoy. 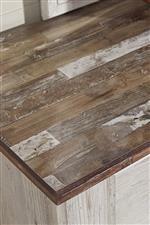 The two-toned finish and natural top adds a touch of rustic detail. 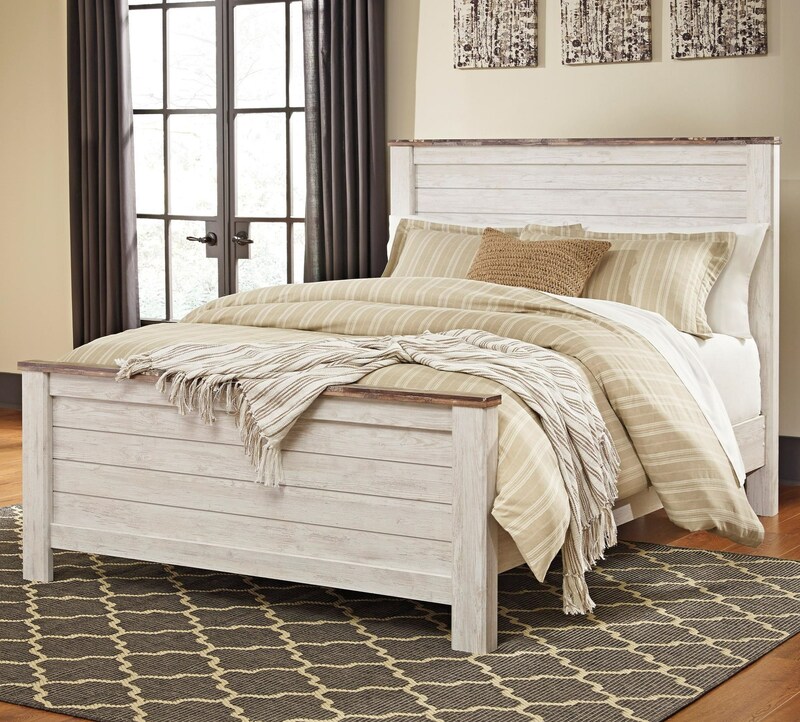 The Willowton Two-Tone Queen Panel Bed with Plank Style Headboard and Footboard by Signature Design by Ashley at John V Schultz Furniture in the Erie, Meadville, Pittsburgh, Warren, Pennsylvania area. Product availability may vary. Contact us for the most current availability on this product. The Willowton collection is a great option if you are looking for Rustic Relaxed Vintage Cottage furniture in the Erie, Meadville, Pittsburgh, Warren, Pennsylvania area. Browse other items in the Willowton collection from John V Schultz Furniture in the Erie, Meadville, Pittsburgh, Warren, Pennsylvania area.